Popular opinion says that GMOs (genetically modified organisms) are dangerous, possibly lethally so. Does scientific evidence back this up? The idea of a fruit being modified is frightening to many people. GMOs are organisms that are created by moving genes of one organism to another with the aim of improving or changing the organism. Genetic engineering (GE) is the laboratory process that is used to produce GMOs. GE is famous for the scientific research of medicine production and the production of genetically modified food. GMOs differ from transgenic organisms because in GMOs, genes are altered without the addition of genes from an unrelated organism. In transgenic organisms, there is a modification in the genes by adding genes from an unrelated organism. The process involves mutation, insertion, or deletion of genes from organisms. 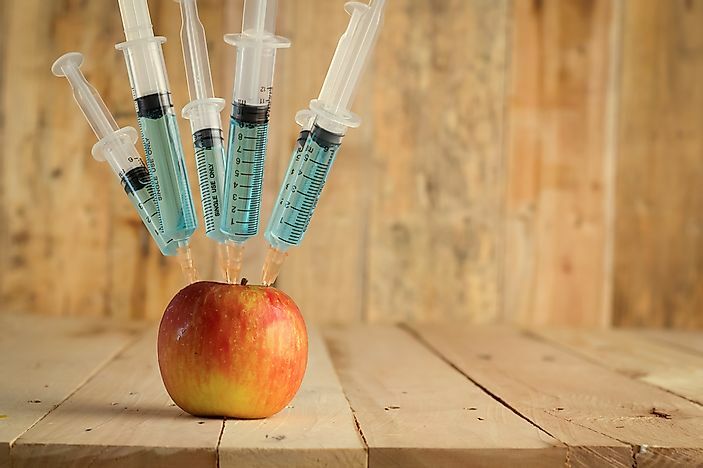 Since the beginning of the production of genetically modified food, there have been concerns about the adverse effects it could bring to the bodies of human beings. It has been argued that GMOs increases toxicity in humans. Those holding this belief argue that naturally, plants contain little toxins that do not pose any threat to the health of people. Introducing foreign genes into these plants increases toxicity which has the possibility of being dangerous. Additionally, many argue that a genetically modified organism tends to lose its nutritional value, unlike its traditional counterpart. Some components found in some plants or animals are essential in keeping the health of humans, and if there is gene alteration, the critical element could be lost. Natural mutation in organisms is the main reason for antibiotic resistance. In the process of moving genes, biotechnologists administer antibiotic resistant genes hence increasing the chances of spontaneous mutation. There have been some concerns that the bacteria found in the gut of animals and humans have a possibility of picking up antibiotics in GMOs before they are fully digested. However, according to the research and report by the National Academies of Science on the perceived negative influence of GMOs, the institution found that genetically engineered food has no association with health concerns. The studies on the chemical composition of the organism did not show any danger when compared to the ordinary counterpart as it was initially perceived. Regarding the effects on the environment, the committee did not find conclusive evidence to determine if the herbicide or insect resistant plants affected insect life or diversity of plants. The committee did not find a justifiable reason regarding adverse effects of GMOs on the environment. On the effects of agriculture, the committee gave a good report to commercial agricultural farmers. According to their research, genetically engineered maize, soybeans, and cotton have shown to improve commercial products. Genetic engineering is still a new development that is being research. There are pros are cons to genetic engineering, but research regarding the health implications of these products needs to be prioritized. Although a solution needs to be found for food security, it should not be at the expense of an individual's health. Does Pollution Really Cause Sunsets?